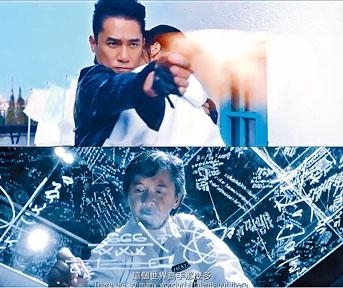 The Tony Leung Chiu Wai, Kris Wu Yifan, Tiffany Tang Yan, Jennifer Du Juan and George Lam Chi Cheung starred, Jingle Ma Chor Sing directed EUROPE RAIDERS (AU JAU GUNG LEUK) will open on August 23rd in Hong Kong. Yesterday the latest trailer and five character posters were released. The film shot mostly in Italy, and the posters used the Italian flag colors of green, white and red as background.